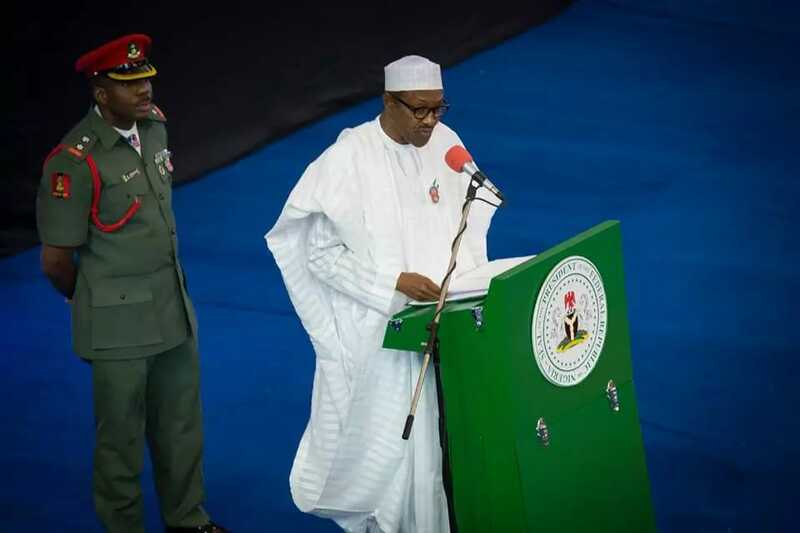 President Muhammadu Buhari on Friday said the nation’s laws needed to be strengthened to realistically contend with the miasma of corruption. The President made the remark at the Osigwe Anyiam-Osigwe Foundation lecture in Abuja. He said this had become imperative in view of the fact that a number of anti-corruption cases had been rendered inconclusive due to legal limitations. He held that dealing with corruption required the collective will of every Nigerian. “Without our collective will to resist corrupt acts as a people, it will be difficult to win the war. “We in the leadership will provide the right example. We will not pay mere lip service to corruption. We will eschew it in every aspect of our lives. “However, we are but few, in a country of more than 170 million people. “We need the mass army of Nigerians to rise as one man, and stand for probity in both public and private lives. “It is only then that we can be sure of dealing a mortal blow on corruption, which will engender a better country’’, he said. “Look at the corruption problem in the country, and tell me how you feel as a Nigerian. “They then amass wealth in billions and trillions of Naira, and other major currencies of the world, ill-gotten wealth which they cannot finish spending in several lifetimes over. “This is abuse of trust, pure and simple. When you hold public office, you do it in trust for the people. “When you, therefore, use it to serve self, you have betrayed the people who entrusted that office to you’’, he said. According to him, his administration will strive to do what is fair and just at all times, but people who refuse to embrace probity should have every cause to fear. “We must come to a point when we all collectively say enough! That is collective will, and that is what will bring us to a new state and status. “If this country will realize her potentials, and take her rightful place in the comity of nations, we must collectively repudiate corruption, and fight it to a standstill. “It remains eternally true: if we don’t kill corruption, corruption will kill Nigeria’’, he added. Buhari stated that it was the responsibility of government to investigate reported cases of corruption and in the process, suspected culprits could be arrested, detained or questioned. According to the president, a government that closes its eyes to brazen corruption loses its essence, the very reason of its existence. “Such a government is sheer flippancy, a waste of time, moral and sociological absurdity’’, he added. “This is because, to curtail corruption, we have to reorder the mindset of all. “We all know that to lie is not good. But we have a sense of justification each time we tell lies. He maintained that changing the mindset of the people was integral to dealing with the manifestation of corruption socially. He said it was also important to heal the wounds inflicted by the corruptive indulgence of specific people who had been entrusted with public positions or funds.